If you live in Manchester and are looking for local TV or satellite installation and repair experts, then call The Aerial Guys. We are passionate about providing you with the best possible service. Contact us today on 0161 3272687 to book an appointment. The Aerial Guys are dedicated to supplying, installing and repairing aerials in and around the city of Manchester. We possess the knowledge required to dramatically improve the quality of your television viewing experience by ensuring that your aerial or satellite dish are up to the standard required. We are experienced in providing TV aerial installation in Manchester for homes which don’t currently possess a suitable aerial or simply wish to upgrade their existing one. If you aren’t receiving the picture quality you’ve become accustomed too, get in touch with us today to book a visit from an aerial engineer in Manchester. As qualified aerial installers in Manchester, we can provide you with a range of services dependent on your requirements. A new digital aerial in Manchester will allow you to receive Freeview television channels through your television or through the addition of a small set-top box. We can also provide you with the installation of a new satellite dish which will allow you to receive Freesat channels in the UK. 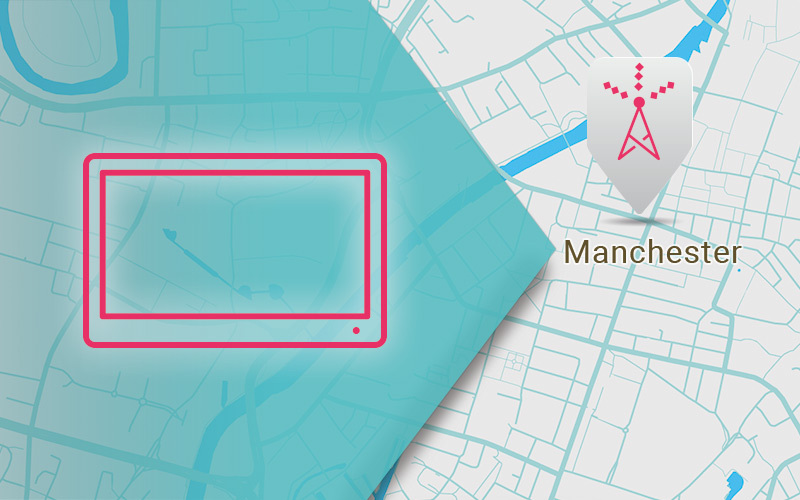 If your existing aerial simply requires a tweak in its positioning, we provide professional aerial alignment in Manchester which will see us position it into the best possible orientation for maximum signal reception. We can also assist you with subscription based television packages such as Sky TV so contact us today to discuss your requirements. We have access to an extensive network of aerial engineers who are located across the North of England and are able to provide you with additional services such as local TV aerial repairs in Manchester. Whatever the problem you’re currently facing with the signal reception to your television set, we can assist. Improve your television viewing experience by calling us today to discuss your requirements for a TV aerial upgrade or the installation of a new satellite dish. We can often provide a same day service and our prices are competitive with no obligation to proceed once you’ve received your estimate. “I’d been looking to extend the TV and satellite system in our house for a while, but when my parents moved back in with us I knew we needed to do something. It was great to have them living with us but we all needed our own space – and TV! I contacted The Aerial Guys to get advice. The technical engineer was very knowledgeable and said he would send an engineer to see us the same day. It was great that The Aerial Guys knew so much about each of the satellite types available. I didn’t know there was such a difference to be honest,” he says. After agreeing a fixed fee price, The Aerial Guys engineer was straight on to the job – setting up a new TV and connecting it up to the family’s main satellite system – all in the space of a few hours. “My mother was thrilled when I showed her the new TV in her granny flat. Now she and my Dad are all ready to start watching their own programmes, which makes me very happy. All thanks to The Aerial Guys and their fast, efficient service,” Vikram says.